Hello, welcome to episode 17 of The Bitcoin Game, I'm Rob Mitchell. In this episode I speak with Yoshi Goto of BitMain (maker of the AntMiner), outspoken cryptographer Nicolas Courtois, and Storj creator Shawn Wilkinson. These interviews took place at the 2015 Texas Bitcoin conference. Nicholas Courtois and Shawn Wilkinson were both speakers at this conference, while Yoshi Goto has presented at other Bitcoin events. Listen for the magic word, and submit it to your LetsTalkBitcoin.com account to claim a share of this week's distribution of LTBcoin. Listeners now have a full week from the release date to claim a magic word. The magic word for this episode must be submitted by 4:00am Pacific Time on May 21, 2015. You’ve seen these keychains on dozens and dozens of websites, it’s about time you had one of your own! 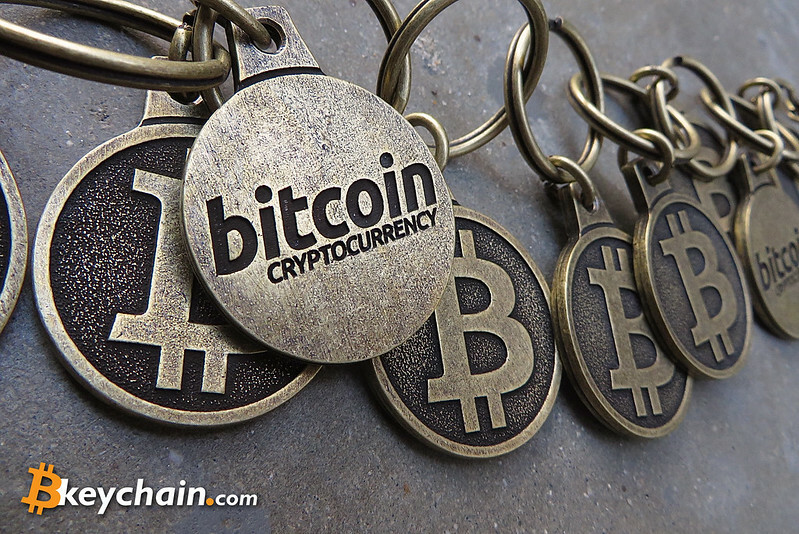 These substantial metal keychains make great conversation starters, and they also make great gifts to or from Bitcoiners. You can find a list of online retailers at Bkeychain.com, and several support Bitcoin so much, they don’t even accept fiat currency. So what are you waiting for? All music in this episode was created by me (except the earthquake public service announcement music). Found an error or typo on this page? Is the magic word not working for you? Be the first to let me know privately (such as sending me an email or private message), and I'll send you some LTBcoin.